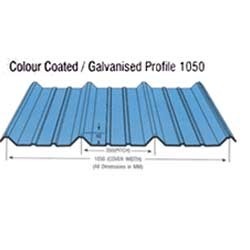 We are committed to offer our clients Galvanized Color Coated Roofing Sheet. Under this category, we offer our esteemed customers a wide array of G.I. Colour Coated Profile 930, G.I. Colour Coated Profile 1050, G.I. Colour Coated Corrugated Sheets and G.I. Colour Coated Plain Sheets. These sheets can be availed by the customers in vibrant colors. Our range is appreciated in the market for its features like resistance against corrosion & wear and tear. With our expertise in this domain, we are able to offer Galvanized Colour Coated Corrugated Sheets. We offer these corrugated sheets to the customers in varied sizes and specifications. 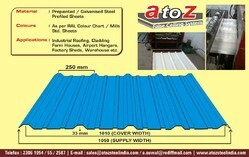 Customers can avail these sheets from us at market-leading prices. 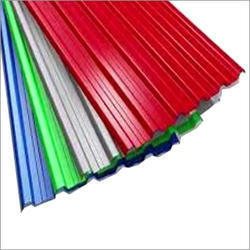 Our domain expertise has enabled us to come up with Galvanized Colour Coated Profile. These are manufactured by the experts using best quality material procured from trusted vendors of the market. The offered products are manufactured in order to meet the diverse requirements of varied customers. These are widely used for industrial roofing, airport hangers factory sheds, cladding, farm houses and warehouses. In order to fulfill the changing demands of our clients, we are offering Galvanized Colour Coated Plain Sheets. All our products are manufactured in compliance with the international standards. Our offered forged components are stringently examined by the quality examiners on varied parameters to ensure their durability. 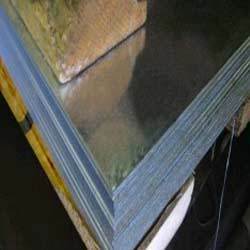 With our expertise in this domain, we are able to offer Galvanized Sheets. 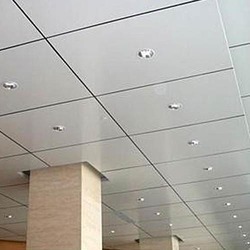 These are manufactured by the professionals of our firm following industry quality standards. The offered sheets are widely used for making construction material, bathroom fittings and bicycle & bicycle spares. We offer these sheets to the customers at market-leading prices. Innovation is our forte and we strive to design and develop Galvanized Colour Coated Profile. These are manufactured by the professionals using pre-painted steel/galvanized steel profiled sheets in accordance with industry standards. Further, our team of responsible professionals ensures that the offered products are delivered at the patrons' end within the scheduled time. Moreover, these are available in various colors as per as per RAL color chart and mills std. sheets. 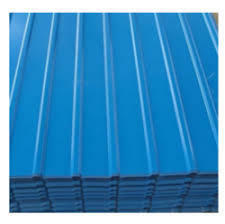 Looking for Galvanized Colour Coated Roofing Sheet ?